A new survey has just been carried out by the investment bank, Piper Jaffray. It released its annual “Taking Stock With Teens” report on Monday with some interesting facts that won’t go unnoticed among my marketing peers. The report included results from 8,600 teens in the United States, across 48 states with an average age of 16. From their report, it seems as though Instagram is now the go-to social media platform of choice for teens. Of course, I already knew this, but there’s nothing like seeing things in black and white to back up your theory. Even though this report is US-based, you can assume that these statistics will be the same for every country in the west. So, why am I taking such an interest in this report? The fact of the matter is, this particular age group is a good indication of where the rest of the population will go. Momentum generally starts at this age group and starts to filter out through the rest of the population as the weeks and months roll by. What these guys are doing now will follow the same trends of what the 18 to 24-year-old market will do in early 2019. If you’re in the B2C sector but have an older demographic, it’s still worth looking at these sort of trends because your clients that you currently serve will most likely be doing the exact same thing within a year. 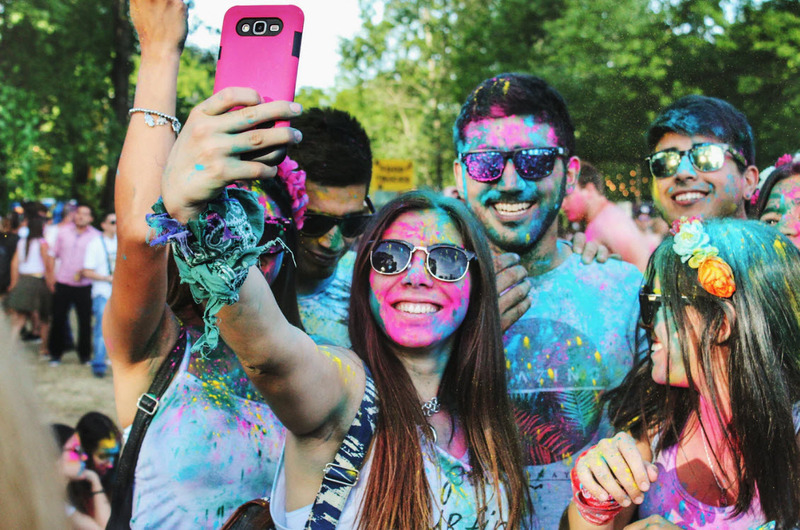 The report suggests that the some of these young people said they used Instagram at least once a month, 85% of those were teens and that 84% said they’d used Snapchat at least once a month. Now, this might not seem like a massive difference between the two figures but it does suggest that there is now a decline in Snapchat usage by this specific peer group. 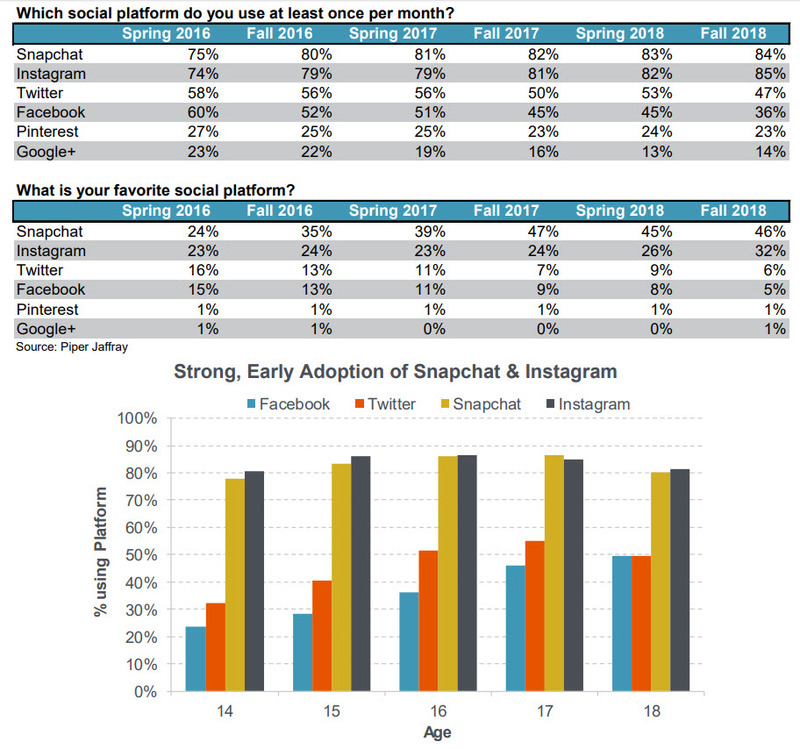 Even though there’s a declining use of Snapchat, it’s still the second-most popular social media app for this age range so I’m not going to take things out of perspective at all. But, if I was a shareholder, I would be seriously worried that the network I was invested in had started to decline in use. The numbers also were not great for Facebook with only 28% of 15 year-olds using the social network, which shows it is down from 40% last year. At the time, the vast majority of people, including me, couldn’t believe the amount of money Facebook was paying for Instagram. When you look at these numbers and the amount of money Instagram makes from advertising, we can all see now that it was quite a smart move and well worth the $1-billion they paid. A lot of people might suggest that the main reason for the decline in numbers for Snapchat is based on their design change back in February 2018, but I think it runs deeper than that. The fact that Mark Zuckerberg (Facebook founder and CEO) declared war on Snapchat because they wouldn’t sell to him has a much greater significance as he gave the go-ahead to copy and mimic every single one of Snapchats features, the most popular and controversial one being Instagram stories, which has been a huge success for the platform. Back in June 2018, Instagram recorded 1 billion active monthly users, which is quite astonishing for a company that wasn’t around 10 years ago. Even though Instagram is attracting a lot of corporate advertising, it’s now starting to become very popular for small and medium enterprises (SME’s) around the world, hence the reason I am writing this article. If you haven’t started advertising on Instagram yet and your business is B2C, I suggest you get your feet wet by at least posting organically to get a feel for the platform and to see if you can start getting some traction. If you do start gaining traction, I’d recommend testing out the advertising platform. The reason I suggest doing this now is, I believe that the cost to advertise on Instagram is going to steadily increase, just like it did with Google Adwords. Whilst the cost is currently quite reasonable to advertise on Instagram, there really is no better time to start allocating your advertising budget to the fastest-growing social media network. 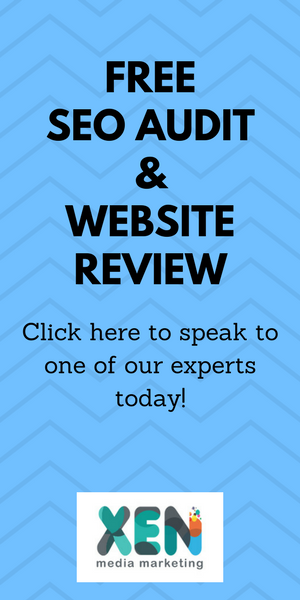 Of course, if you’re unsure of how to do this, feel free to get in touch with us and we can put the steps in place for you to start to leverage on this platform if it meets your demographic market. If I’m honest, I was never that keen on Snapchat – the fact that it was purely 100% app-based and has the feel of a toy, I failed to get that excited about it, however, the same cannot be said about Instagram. The fact that its users are the most engaged online and apparently have no problem with brands getting in touch with them directly, for the moment, I really can’t see a downside here. The vast majority of our clients operate in this business to consumer (B2C) market and we will be recommending that they start taking Instagram seriously. Funnily enough, it’s not even that important that they post regularly since organic reach on social networks these days isn’t great. 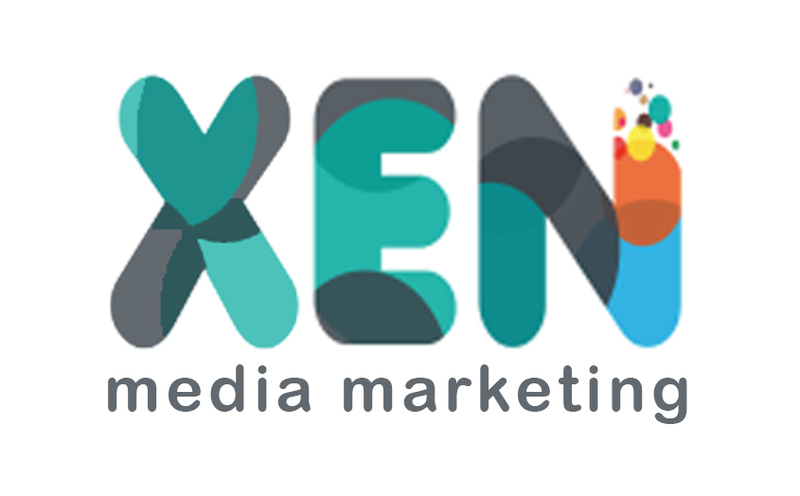 However, what we will recommend to our clients is to split the amount they currently spend on Facebook ads and spread that cost to include advertising on Instagram. As I mentioned previously, the cost to advertise isn’t cheap but there’s no reason why you shouldn’t be able to get a return on investment. We predict that within the next 6 to 9 months, the prices will start to increase significantly – getting into the game early is key. If you’re not using an agency, I advise you take things slowly and dip your toe into the water with a small budget, initially. There’s no need to blow 100% of your marketing budget unless you know Instagram ads can work for you. My bet is, if you’re making the Facebook ads work for you right now, there’s no reason why Instagram ads won’t work just as well – the devil will, ultimately, be in the detail.